Competency in reading is one of the greatest predictors of success in children. But in order to procure the benefits, students must be motivated to learn to read. Here are the best ways for kids to learn to read backed by research. One of my most painful childhood memories is learning how to read at school. The teacher would call one student into the hallway at a time. Every day, I prayed that my name wouldn’t be called. I didn’t want to leave the comfort of my brightly lit classroom to be tested. My stomach flip-flopped and my hands got clammy. Once the teacher called my name, I did my best to appear calm. I mustered all my strength to make the walk out of my classroom into the hallway. In mere moments, all my shortcomings would be exposed. A parent volunteer sat across from me. She would motion to the books beside her. I never knew what to choose because the pile always changed. I desperately hoped I would choose the shortest one. No matter my choice, the pages and words always felt too long. As soon as I had a book, there was a click. The volunteer turned the tape recorder on and that was my signal to start. The pressure of knowing I would have to play back my poor reading sent shockwaves of fear through my little body. I was petrified of making a mistake. But I was struggling to learn to read, my mistakes were inevitable. Shaking, I stumbled through the words on the page. “Sound it out,” the volunteer would say. But I had to sound out every syllable of every word. As I stammered my way through each word, I became more and more aware I was taking longer than any of my peers. My friends clutched their audiotapes with pride. They were reading novels. I was struggling to learn to read. Why should we care about children’s love of reading? While there are a number of obvious benefits to reading, there are also some less obvious ones too. Of course, the more children read, the more they learn. Reading leads to more elaborate vocabulary (1). Research has also found that ability and regularity of reading predict lifelong academic success. Not only that but the single greatest predictor of school dropout is reading below grade level (2). 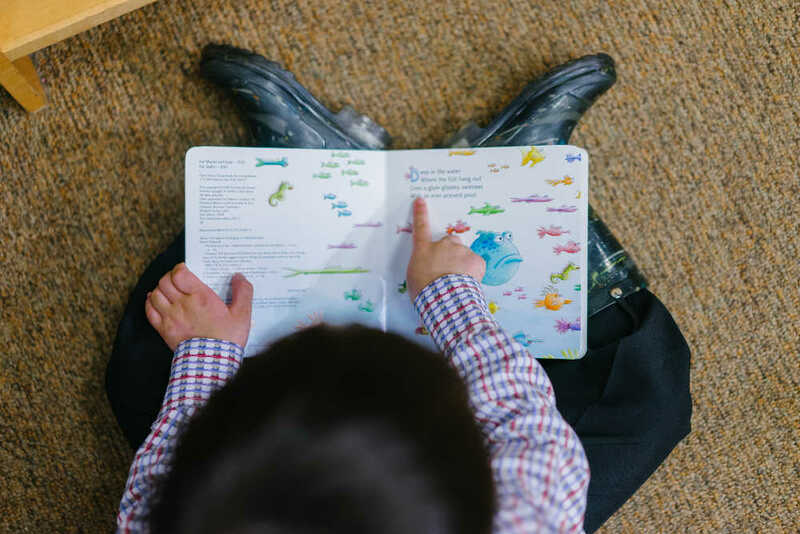 The good news is that regardless of the trajectory a child is on with respect to reading, there is a lot that can be done to build her early literacy skills and even develop a lifelong love of reading. This is how I learned to read and love it too. Summers came and I was able to escape the threat of that black tape recorder and the archive of all my reading mistakes. On scorching hot days, my mom would throw a laundry hamper into the trunk of her navy blue Honda. Then, we would head out to the reprieve of the air-conditioned library. There, we could load up on as many books as we wanted. She never said no to reading to us. She worked on our sounds (phonics) in the context of the books we loved. Or, she would put out magnets for us to manipulate and make our own words with. It took a while, but slowly I began to learn to read well. My love of reading most certainly came from my mom’s fun and natural approach. Though my mom’s way of teaching me to read was the result of her own love of literature, it is also her profession. At the time she was both teaching me how to read and instilling a love of reading in me, she was a teacher. She went on to be a school principal and now teaches a university course on literacy. I asked her for her best tips for kids to learn to read based on research and the best practices being taught to teachers. These apply to teaching your child to read, but many can be applied to teaching students to read in the context of a classroom. 1. Start reading to your child as a baby and continue reading often. Not only does reading help young children expand their vocabulary, it also teaches them the most basic rules of early literacy. For example, infants as young as nine months can learn how to turn pages in the proper order. Around the age of one, toddlers begin learning how to track words from left to right. These are important skills for the development of literacy. 2. Read books and sing songs that rhyme. 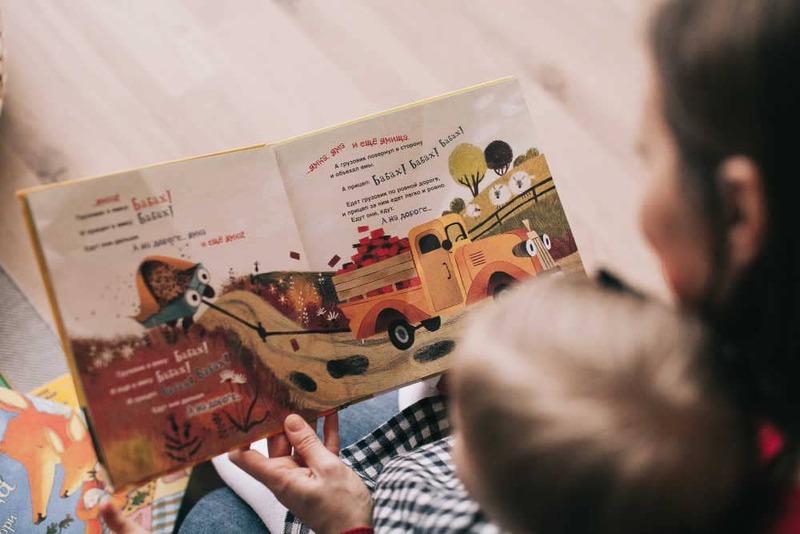 Research shows that four and five-year-olds who are well-versed in rhymes have greater phonological awareness, greater vocabulary and better reading outcomes (3). 3. Have books and other literacy mediums out for easy access. When kids can easily access books, they read more. Also, it is great to have magnetic letters, an alphabet puzzle or two, and mediums to write on available. 4. Teach kids phonics in context. Find ways to teach children the connection between letters and sounds. It is helpful having different mediums for kids to manipulate and play with words (like the puzzles, writing materials, and magnet). Sing songs about sounds. Have them sound out words as they read and write. All of these give the chance to learn the association between phonics and words in ways that make sense. 5. Build feelings of competency. One of the biggest reasons children lose their love of reading is because they see themselves as less competent when compared to their peers. When children want to quit, use the power of yet. Remind them they may not have mastered reading yet, but it will come. Some children can learn a word with one exposure while others take as many as 20 times before learning a word (3). 6. Ask questions about what’s being read. what’s your favourite part so far? 7. Avoid the use of extrinsic motivators such as sticker charts or other ways of rewarding reading. Research shows that when extrinsic motivators are used to promote desirable behaviour, children become less motivated to do the given behaviour. 8. Model your own love of reading. Modelling is one of the strongest means to promote any behaviour in children. When kids see us read for pleasure, they will be more inclined to become lifelong readers too. relevant – is it fun? independent – can I choose what I read? 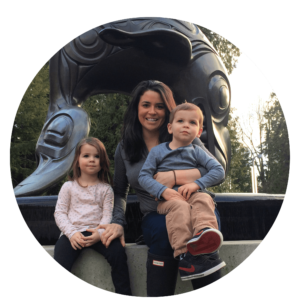 promote self-efficacy (feelings of success) – can I read it without a lot of struggle? promote mastery – can I learn new things? My mom’s approach changed the course of my feelings about reading. As a result of her modelling, allowing me to read what I wanted to read, and regular trips to the library I developed a love of reading. Even if a child’s reading starts off on a rough foot, as mine did, their love of reading is salvageable. Simply, parents and educators need to focus on motivating the child’s natural drives and then learning to read and loving it will come naturally.